While I am at it…I thought it was time to acknowledge that (possibly) none of the drawings on this blog would have come about without the influence of Geoff Winston. 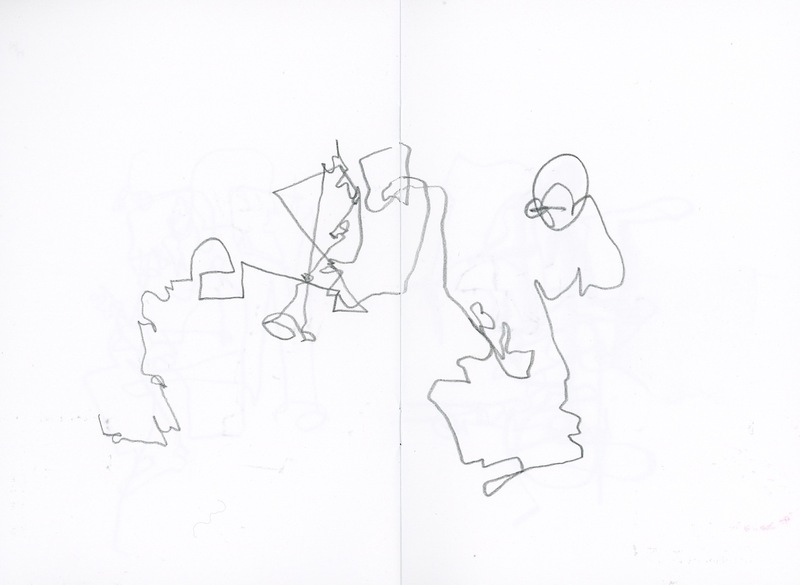 For years I made occasional drawings while I was waiting for a performance to start…these were patchy affairs…some successful, some not. Going to gigs with Geoff he used to apologise for his drawing habit, as if it might be a distraction but in fact his drawings of performance were an inspiration. They were drawn with a much looser line than anything I had ever done and seeing the end results on LondonJazzNews spurred me on to trying out an approach of my own. 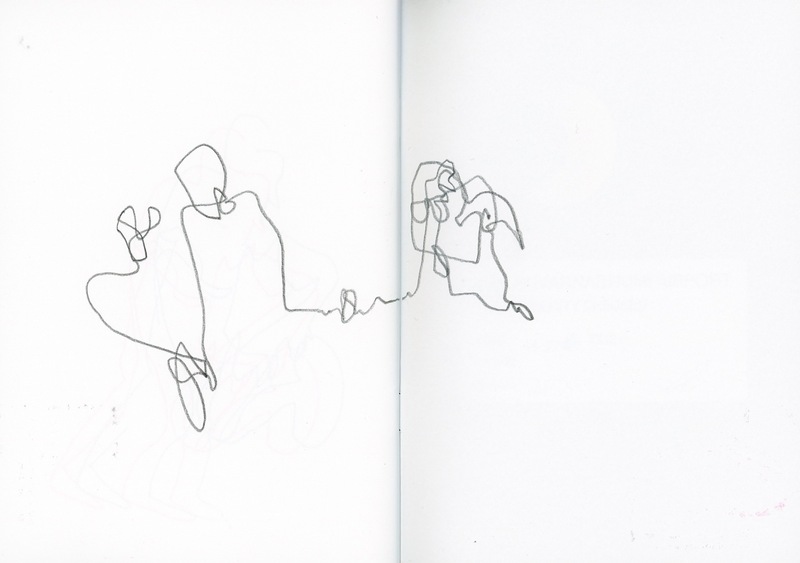 I may have said this before but I started with three constraints: use a single, unbroken line, don’t look at the page and make a drawing within the first 5 minutes of the start of the music. 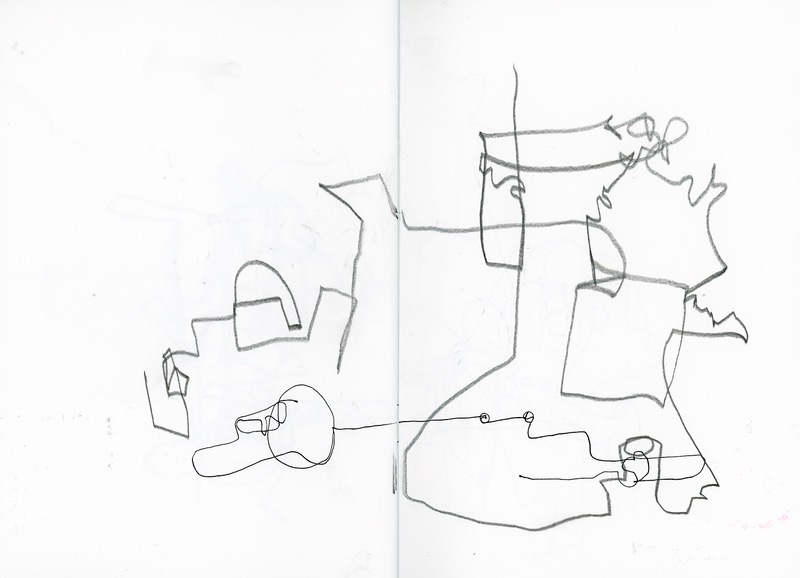 Since then I have stuck with two of these (I often draw throughout gigs or sporadically during the performance) but I have also extended the ‘language’ of the drawings…using multiple overlaid drawings and different pens and pencils. Recently when I felt stuck with how the work was developing I took the lead out of the clutch pencil I had in my hand and broke it so that I could use the side of the graphite stick. I realised that, once again, I had been influenced by Geoff’s techniques though his drawings and mine look quite different. So, thank you Geoff. I recommend a look at some of his work accompanying his reviews. 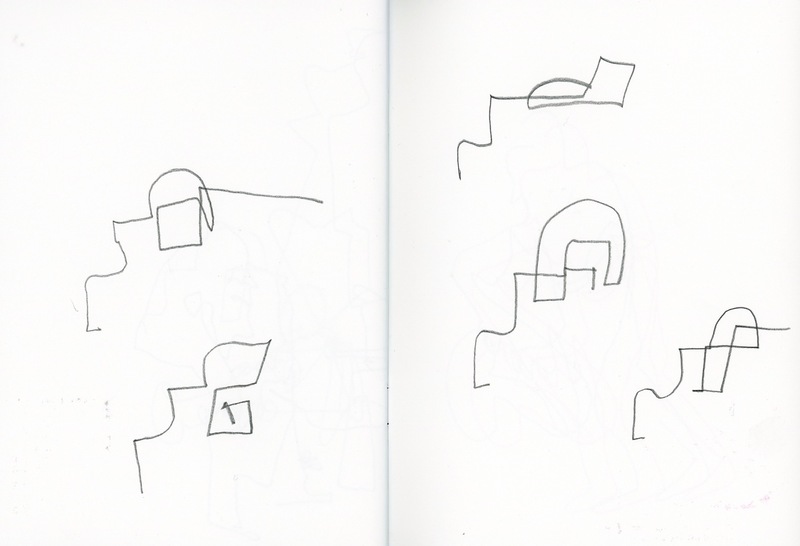 Here is a link to a drawing used in a review (by Andy Boeckstaens) of the Carla Bley performance at which I made these drawings. That’s most kind. Partners in (drawing) crime – with very different results, which is always a good thing.